Kirstiekins Blogs: I don't like nightclubs. I'm writing this post whilst sitting in a night club, people are shoving against me, and the smell of damp beer lingers in the air. Strobe lights fill the darkness, as if they were a warning for eminent danger, only no one cares to take notice. I've never understood why people put themselves in these weird social situations. Drinking alcohol to lower their inhibitions, followed by standing in a room, squashed up against hundreds of other people, having music you would never ordinarily listen to blasted in your ears. When did activities like this become normal? I'm fed up with the incessant men that feel it's perfectly okay to waddle up to you, reeking of Davidoff cool water, and burger sauce, thinking that they're gods gift to women. A guy across from me has been flirting with this woman for almost five minutes now, and you can tell that she just isn't interested, but she seems too scared to walk away. Maybe I'm just overly observant and paranoid, but there seems to be a lot of potential rapists around me. They all have that weird look in there eye that screams 'let me buy you a drink so I can drug you with Rohypnol.' Reading that back I can see that I sound like a crazy person, but in all honesty, I'm most likely the sanest person within this place. The girl across from me has now left the man, she took the drink that he had bought her leaving him alone. For a few seconds a look of pure shock graced his face, before he tugged on his jacket, told himself that he was a cool guy, and then prowled over to his next victim. On a brighter note, if I could put the toilets in this nightclub on a scale of 1 to 10, based on the likelihood of gaining an STD, It would definitely be on the higher end of the scale. In retrospect, this post seems entirely pointless, however focusing on typing these words has helped keep me sane. 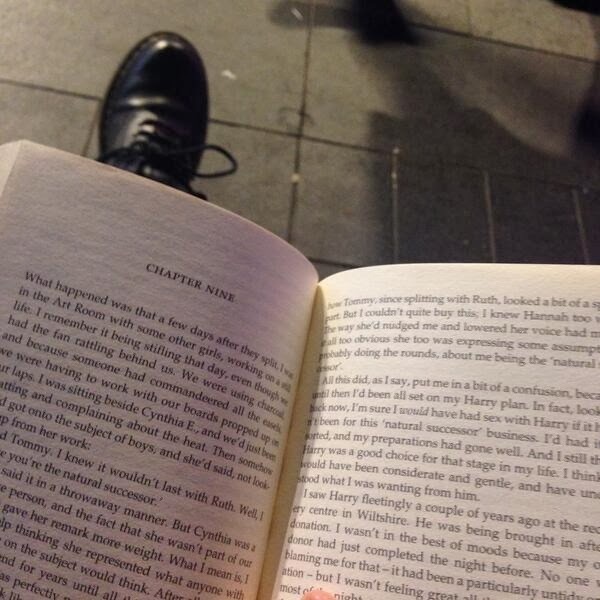 P.S I am now sitting outside of the nightclub reading a book.